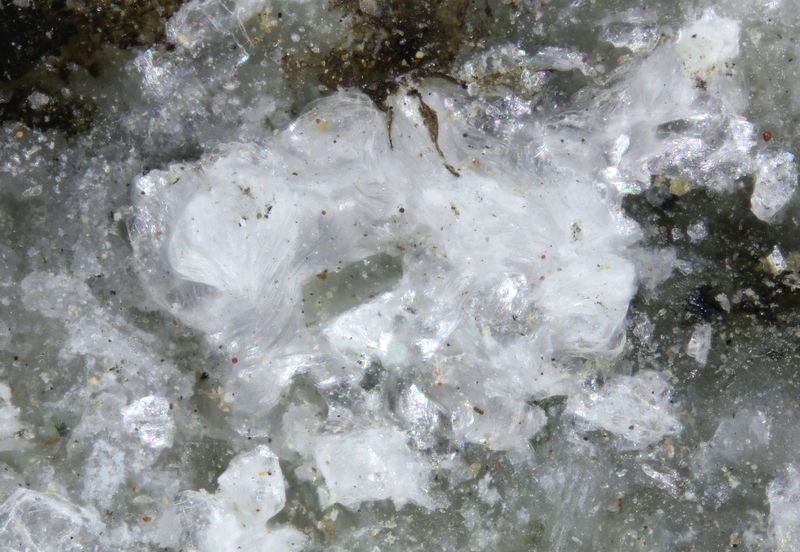 Silky-white platy crystals of the new mineral species jeankempite, IMA 2018-090, from the type locality for the species. 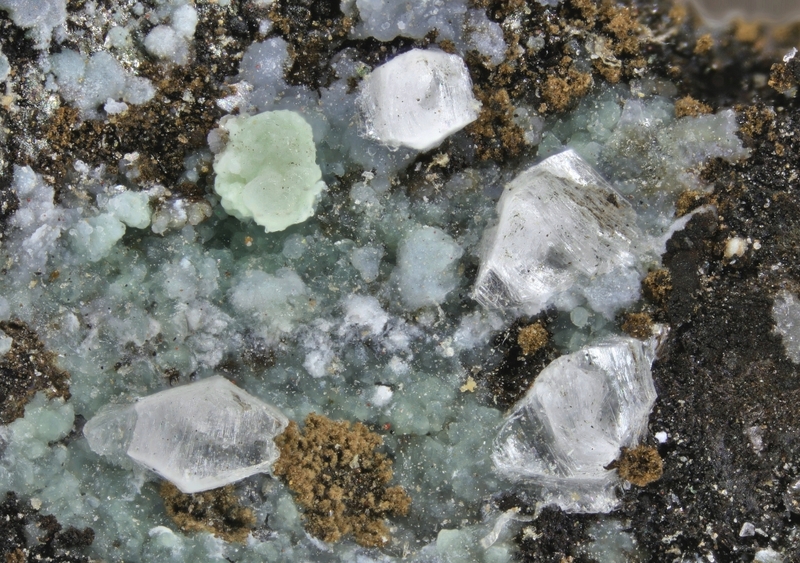 Interwoven plates of jeankempite and guérinite with pale green annabergite spheres sit atop altered mossy domeykite and algodonite on calcite matrix. 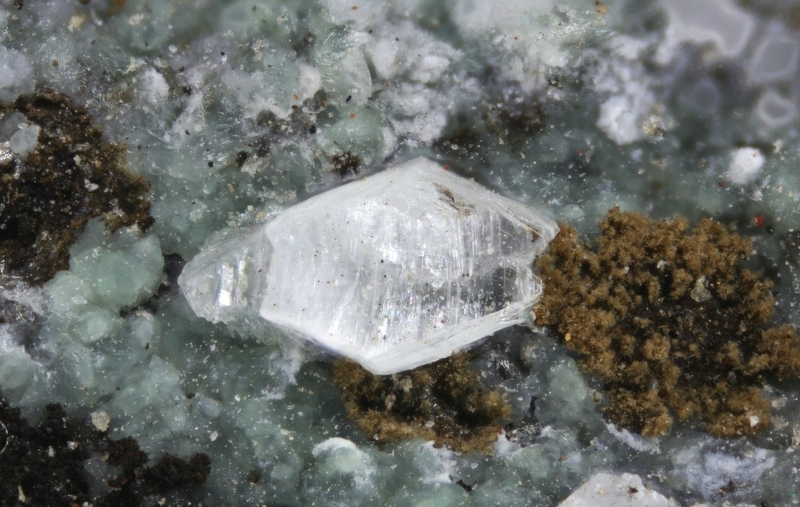 This specimen originally belonged to a sample on which the author of the new mineral, Dr. Travis Olds, discovered and analyzed the new mineral. 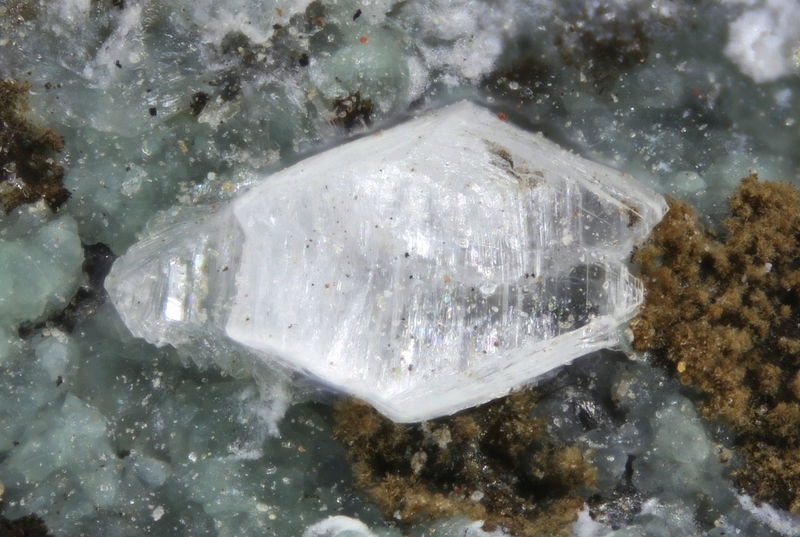 Overall only three miniature sized specimens of the new species exist (including the type specimen). 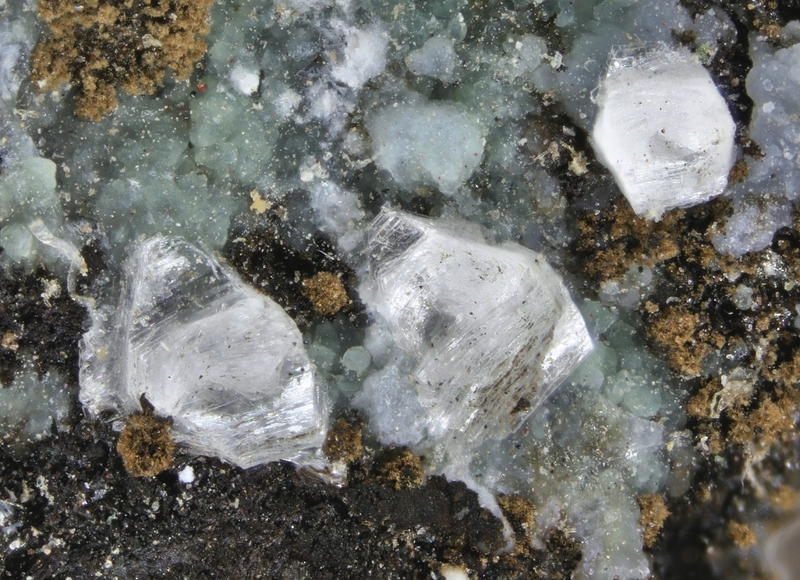 Jeankempite was named after Jean Petermann Kemp Zimmer (1917-2001), curator of the A. E. Seaman Mineral Museum from 1975-1986.